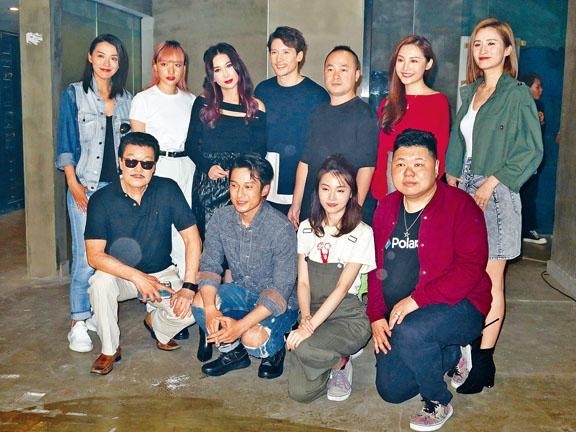 Irene Wan Bik Ha, Kenny Kwan Chi Bun, Hanna Chan, Alice Chan Wai, Ashina Kwok Yik Sum, Jess Sum Cheuk Ying yesterday attended the film THE FALLEN (DOR LOK FA) production start ceremony. Going undercover in the film Wan Bik Ha and Kenny would develop an older woman younger man romance. They would also have daring love scenes. 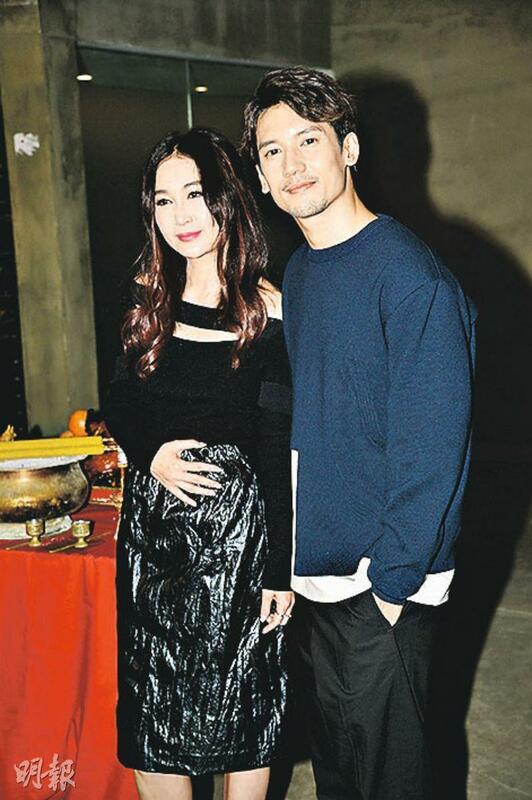 Wan Bik Ha said that she would not need to "prepare" her husband, as an actor as long as she ran into a good script she would have to release herself; Kenny was also able to make the sacrifice for art and would not mind following Tony Leung Chiu Wai's suit. In case he would not be able to accept it it could be cut out. Wan Bik Ha would go undercover in the film and even became addicted to drugs later. She was very happy to receive a role with such good potential. Earlier she even lost 4 pounds to play the drug addict. Speaking of her love scenes with Kenny, she revealed, "After taking drugs hallucination would take place, so you might not know that you have done a lot of silly things. Some of which would be daring scenes, some would take place after taking drugs and some would happen normally. For now I don't know how far they would go. The most important is the story requires it, an actor must let herself go." Would she need to prepare her husband for any love scene? She said, "We are adults, so we don't need to. A rare opportunity would need to be properly grasped, first I have to put myself first. (Are you pleased with young fresh meat Kenny?) He and I would have a older woman young man romance, I adopted him so he would have feelings for me since he was very little. I also had a wonderful feeling for him. We both would have feelings." Irene felt that the character was very challenging for her. Because she had a classmate who died from drugs, she knew about the harm of using drugs. She felt that this subject was great and had a lot of room to perform with. Kenny played a drug lord's successor. He appeared to be a mild mannered gentleman but actually was deranged and more promiscuous. He would have many scenes with Irene and Kwok Yik Sum. He said, "I would have a lot of love scenes, with more than one co-star. Of course I would have to take off my clothes, for now I don't know how far I would have to go." Would he be able to accept going as far as Tony Leung Chiu Wai in LUST CAUTION? He said, "Without getting to this situation I really don't know, but I feel I can shoot it first and I am displeased it can be cut. In addition with camera displacement I feel I can. In addition during the shoot I shouldn't have too many taboos, I should be able to perform freely. Otherwise it will be even harder to shoot, if I can't accept it after making it it can be cut. (What if it won't be your call?) With Mani and the producer there I can relax." Hanna Chan would play an unusual girl Suet and woud have skin contact with Irene, but it absolutely would not be a lesbian love story. She and Kenny also would not have any love scene, but she would have a bare back scene. How did she feel about her figure? She joked, "Not OK, but as an actor even with not OK I have to be OK."